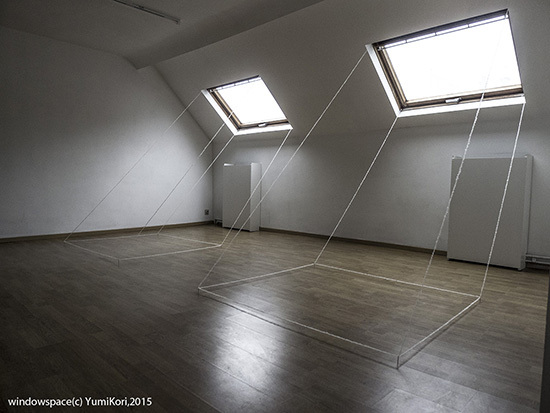 I just realized a new site specific installation at the Platform 102 gallery located in the center of Brussels. The space is on the top floor which has a couple of skylight windows. 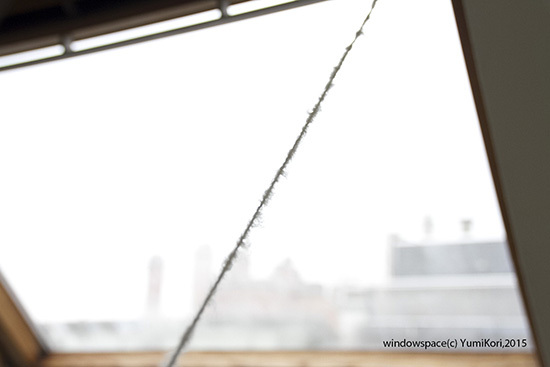 I installed untwisted raw wool yarn that serves to indicate the space which can potentially be created by the windows. 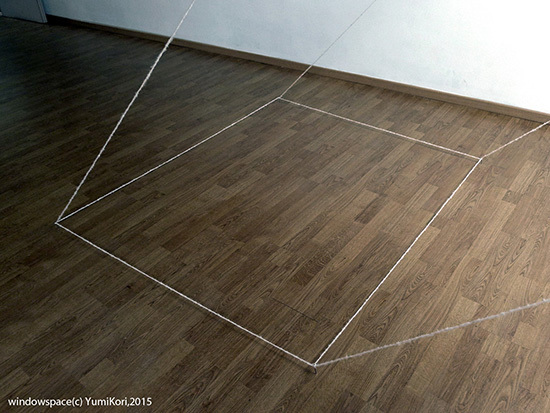 As the viewer moves, the yarn comes to form various boundaries – and “window_space ” are woven out. Sometimes, the yarn melts into the landscape and the space disappears. 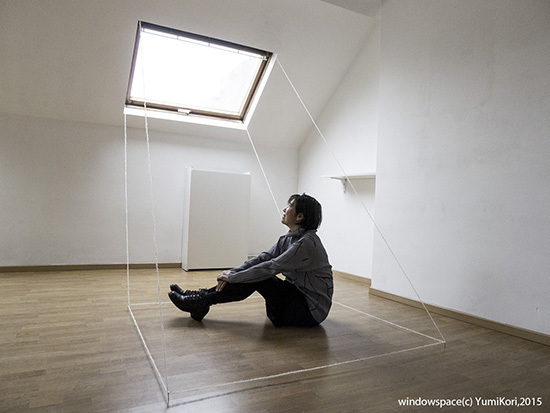 The light, the air, the sound and the landscape that come through from the window are constantly changing and the “window_space ” is accordingly generated through viewer’s imagination.